Mayor of Alnwick, Alan Symmonds, with Hon Alderman David Archer, MACPI chairman. 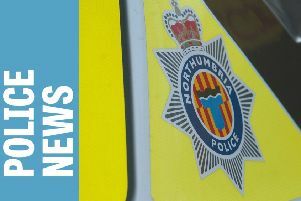 Alnwick’s Multi Agency Crime Prevention Initiative (MACPI) has recently celebrated 25 years of making a difference for young people in the town. To mark the anniversary, a small gathering took place at which the cake was cut by the committee chairman, Honorary Alderman David Archer, and the guest of honour, Mayor Alan Symmonds. Since 1991, MACPI has channelled cash directly into Alnwick projects designed to steer young people away from crime and drug/alcohol abuse. Formed in response to growing concerns about youth exclusion and the numbers of youngsters coming to the notice of the police, MACPI’s main purpose continues to be combining often small amounts of money into game-changing grants. Beneficiaries have included community-based organisations, one-off projects and local sports clubs, together with programmes organised by local churches. Mr Archer said: “Even 10p in a collecting tin or £50 to £100 from a local company can contribute to a grant of hundreds of pounds which will really make a difference.